You might recall that we announced the beta of Endicia Global Service™ back in May – and we know you’ve been patiently waiting for the general availability launch. Well, it’s here! Endicia Global Service is ready to take on the challenges associated with international shipping, expanding its offering to include Mexico alongside Brazil. By the end of 2015, the service will be offered in additional countries in Latin America and the Caribbean Islands. Packages sent via Endicia Global Service can clear customs in hours instead of days, typically arriving in the customers’ hands in eight to 10 days. It offers important features such as international address validation, end-to-end tracking, price transparency and NO customs forms. One major issue that Endicia Global Service helps solve is the complexities of packages delivered duty unpaid (DDU). DDU has become a major problem for international sellers and customers, especially in Brazil. Delivered duty unpaid means that the customer overseas is responsible for paying the duties and taxes upon the package’s arrival. In Brazil, it all comes down to this — postal network shipments are sent DDU, so customs must manually assess the duties and taxes for each individual package. This ends up being a lengthy and inconsistent process. Once the package is assessed, buyers can take up to five days to decide how to pay the fees or they may refuse to pay. The current refusal rate is about 30 percent. If refused, packages are returned to the online retailer, resulting in a poor experience for the customer and an extra cost for the seller. If they opt to pay the duties and taxes, customers then have to make a trip to their local Post Office and cover the costs before they can pick up their package. Unfortunately, this means that many online retailers have stopped selling and shipping to the Brazilian market altogether. How does Endicia Global Service resolve these challenges? Customs then receives the payment and shipment data electronically prior to receiving the package. This means items are pre-cleared and flow through customs in as little as one day. 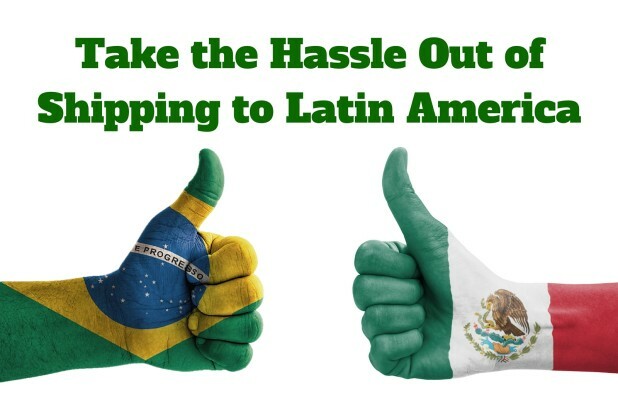 With Endicia Global Service, sellers and buyers alike can rest assured that international shipping challenges won’t be an obstacle when shipping or ordering products to/from Latin America. For more details on Endicia Global Service, visit www.endicia.com/egs.